A Good Time was had at the 11th Annual Dingman Township Easter Egg Hunt ! Despite the cold weather and the snow covered field, Dingman Township’s 11 Annual Easter Egg Hunt was a fun filled time for all involved! Making the occasion even more special was that this was the first time the hunt was held at the new Township Park. Prizes were awarded to those finding the special eggs and everyone left with a bag of treats. And yes, the Easter Bunny was on hand to meet and greet all the excited hunters. 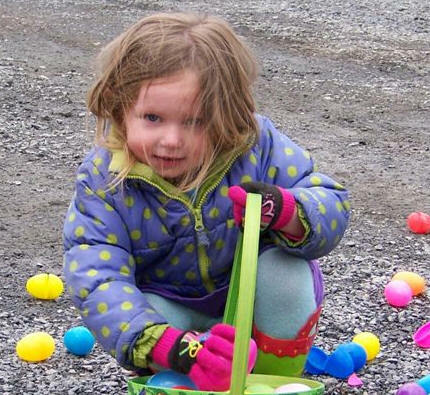 The Dingman Township Easter Egg Hunt is an annual event sponsored by the Dingman Township Recreation Board. Be sure to visit the Township's new recreation park which is located at 679 Log Tavern Road just opposite the fire hall.